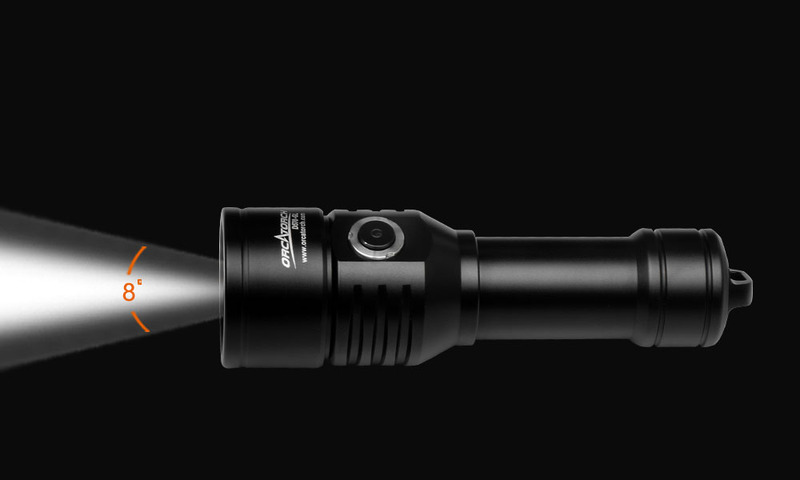 THE D570-GL IS A 1000 LUMENS DIVE LIGHT SPECIALLY DESIGNED FOR RECREATIONAL AND COMMERCIAL DIVERS, OFFERING A REGULAR WHITE BEAM AND QUICK ACCESS GREEN LASER LIGHT. 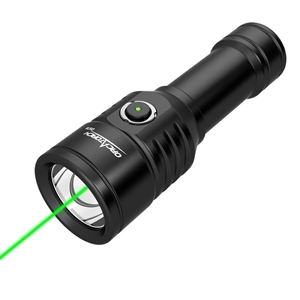 The ability to point and signal conveniently is now provided by the green (or optional red) laser. 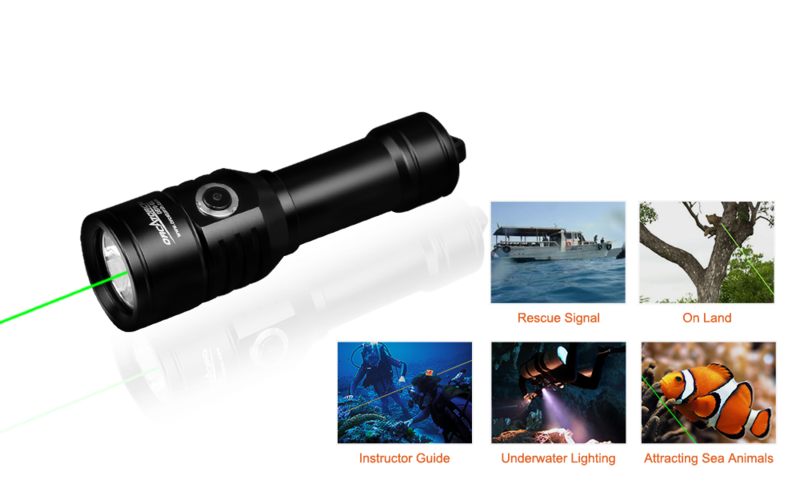 This is not only a scuba signalling device but a 1000 lumens dive light! 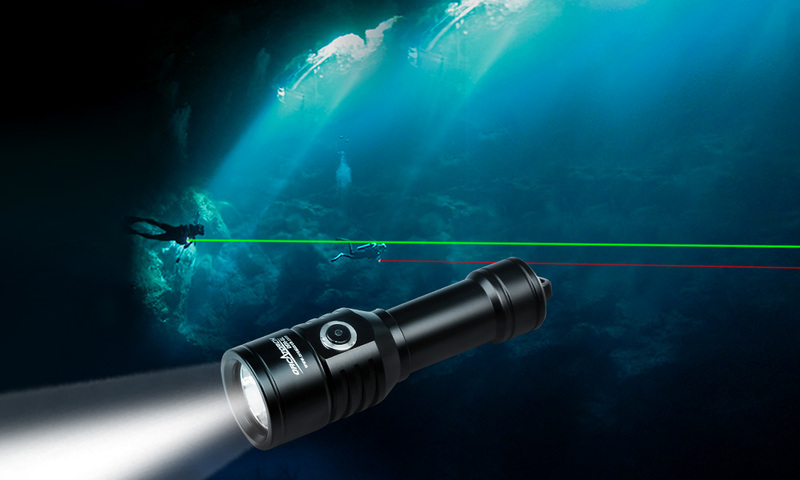 The 8° White Beam and 1000m Green Laser can be controlled independently. In dive light mode, the battery indicator shows the battery charge level. The white light lasts around 1 hour 51mins. 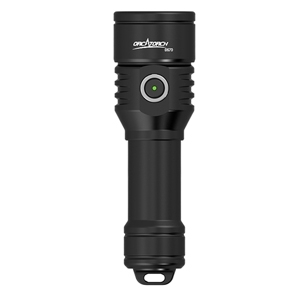 With the reverse polarity protection, it is protected from improper battery installation. Aircraft-grade high strength aluminium material, dual-coated toughened glass with high water pressure resistance to 150m. 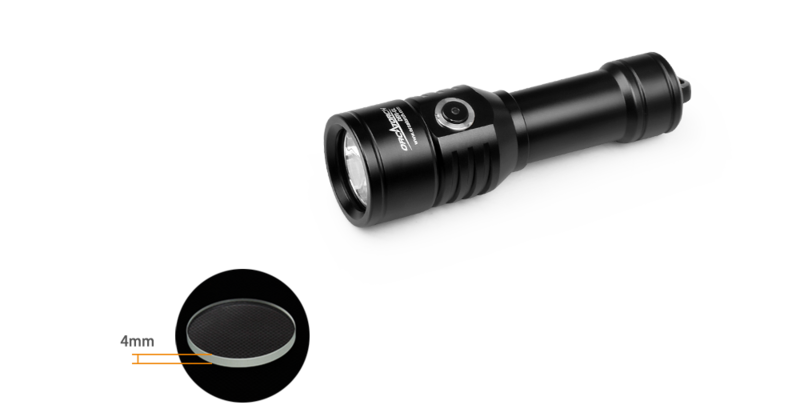 Can be used for scuba diving lighting, rescue signals, instructor pointer, identifing hard to see objects, attracting wildlife, spear gun sight, etc.